Dan Lukis and his girlfriend were enjoying their vacation until a little mishap coloured the Calgary couple's entire experience, and nearly quintupled the cost of their trip. The so-called rule of 10 wasn't something Dan Lukis had ever heard of before his vacation to Cuba, but the fine-print policy that cost him more than $5,000 won't soon be forgotten — nor will the pall it cast on his trip booked through Sunwing. One evening, a few days into his all-inclusive stay at the Sanctuary at Grand Memories Varadero resort in April, the Calgary man lost his balance while reaching into the mini-fridge in his room, he recalls. In an attempt to steady himself, he grabbed the television, sending it tumbling onto the floor. Lukis said he admitted fault for the damage immediately, but when he asked hotel staff how he could rectify the situation, they came back demanding he pay 10 times the value of the TV — according to a rule of 10 policy established by local authorities and followed by the resort owner, Gaviota. There was no further damage to the room, documented in photos taken by Lukis. "We were being treated like criminals for something that was an accident," Lukis told CBC News. When he argued with staff about the cost, he said, they told him police and other authorities would get involved and prevent him and his girlfriend from leaving Cuba if he didn't pay. Lukis said he reached out to Sunwing, but the company deferred to the local authorities' rule-of-10 policy, which Sunwing said was enforced by the resort, not Sunwing. "Due to the challenges and expense associated with procuring furniture and electronics in Cuba, most resorts make available at check-in their policy relating to damages/ and this information is reinforced in the introductory briefing held by our Sunwing destination representatives," Sunwing said in a statement. Sunwing said it was informed by hotel management on April 15 that Lukis had damaged the TV. "While Sunwing representatives did attempt to advocate on behalf of the customer, the property, owned by Gaviota, deferred to their published policy which reads 'when damages caused by a break or loss of property, whether classified as fixed or useful assets, are the result of an intentional act of the clients or are linked to vandalism, the responsible person will be charged ten (10) times the value of the purchase price of the asset broken or lost,'" Sunwing said in a statement. The hotel management reserved their right to apply the full penalty charge as per the stated policy. Sunwing's communications manager, Rachel Goldrick, said buying a new TV isn't that easy in Cuba. "It's impossible to just buy a television like you can in North America. You just can't do it," Goldrick said. "Goods don't exist locally.… It's not sort of like if something happened here, you could go to your local Walmart and take it back." 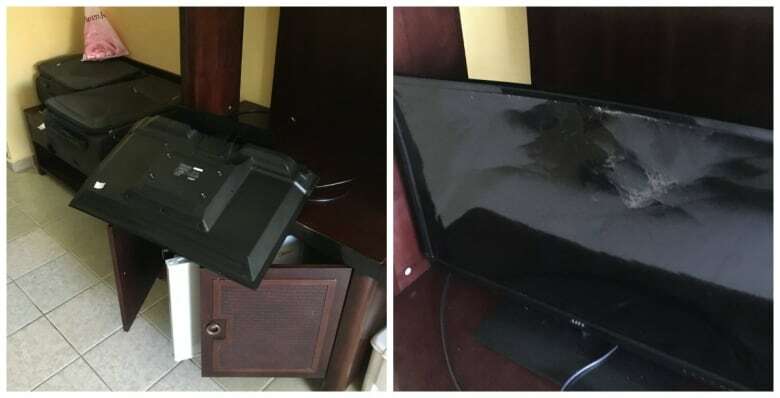 Instead, Goldrick said, the room would likely be without a TV for months as the hotel went through the lengthy process to import a new one into the country. However, Lukis disputes that, saying he saw similar televisions of the same size for sale in local stores and offered to buy one, but was told by the resort that it wouldn't accept it as a replacement. He also said he and his girlfriend were not informed of the rule-of-10 policy when checking into the resort and were not informed of it in the introductory briefing held by the Sunwing respresentative. "They did no such thing," Lukis said. After returning home, Lukis came across a Daily Mail article detailing a British couple's similar situation. The local authorities' rule-of-10 policy followed by the hotel is stated on the Sunwing website, which reads: "Rule of 10 will be in place, established by local authorities. In the case of damaged items, customers will be charged the value of the item multiplied by 10." But there is no mention of the policy on the resort's web page or those of other organizations through which one can purchase all-inclusive stays at the Sanctuary at Grand Memories Varadero. No one from the resort responded to requests for comment from CBC News. 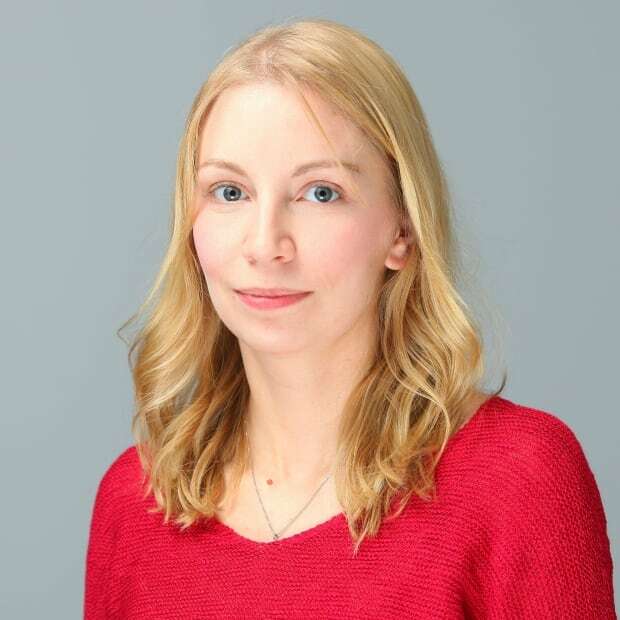 Sarah Lawrynuik is a freelance journalist based in Calgary. Sarah has worked for CBC in Halifax, Winnipeg and Calgary before deciding to travel as a freelancer, reporting from different corners of the world including France, Hungary and Iraq.